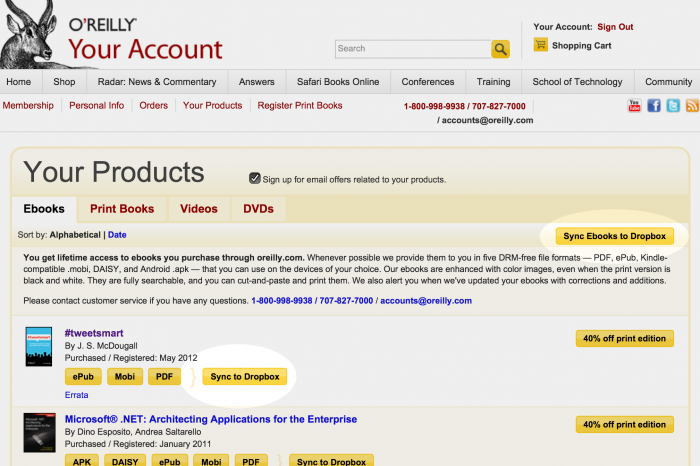 O’Reilly Media Dropbox Sync! (Beta) - ishotjr.com - Put a little mustard on it! I am a massive O’Reilly fan, and a serious consumer of eBooks – but one of the greatest hassles with my ever-burgeoning collection is organizing my library and syncing it to my various devices. 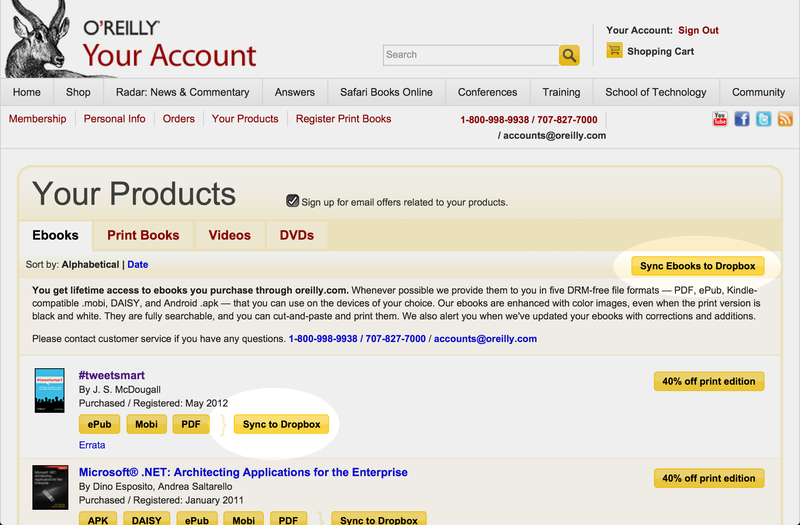 O’Reilly is currently beta testing a feature that allows you to sync any or all of your eBooks with your Dropbox account, in whichever format(s) you prefer; I think they chose me since I own an absurd quantity of their publications (I basically have my own personally Safari!) – so having my purchases automatically downloaded onto my desktop machine, and one click away on my NOOK Color, iPad, or phone, is huge! (♥o♥) The NOOK Simple Touch, since it lacks a Dropbox app (or any apps, without rooting) is now the only remaining device which will be seeing a USB cable any time soon! Detroit Belle Isle Grand Prix 2012 Free Prix Day	New Spotify Android App!